Odisha Police Recruitment 2018 2021 Sepoys / Constables (Male) Vacancy Apply through Official website www.opssb.nic.in. 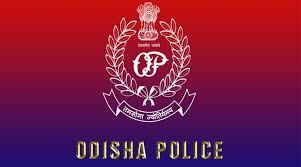 Odisha Police invites Off-line applications for appointment in following Sepoys / Constables (Male) post in Odisha Police. Candidates are requested to Download Application through Official website www.opssb.nic.in. The last date for submission of applications is 26.07.2018. Other Details Like age limit, Educational qualifications, Selection process, Application Fees and How to apply are given below. Candidates who have completed 10th or equivalent from a recognized Institute are Eligible to apply Odisha Police Recruitment 2018. The age of the candidates should not be less than 18 years and more than 23 years as on 01.01.2018 (upper age relaxation in case of SC, ST & SEBC candidates is up to 5 years). The age limit for Ex-Servicemen shall be relaxed as per Government Rules. The candidates shall avail only one benefit as indicated above. For All Other Candidates (ST/SC/Ex-s/PWD) Application Fee is – Nil. 6. Hard Copies of the signed application (registered online) along with photocopies of (i) ID proof (ii) Proof of Date of Birth (iii) Educational Certificates: Mark-Sheets/Degree Certificate (iv) Caste and attested copies of relevant documents should be addressed to “Superintendent of Police of the District/ DCP (Hdgrs), Commissionerate, Bhubaneswar” by post so as to reach us by 26.07.2018.